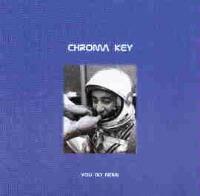 Kevin Moore’s (ex-Dream Theater) project Chroma Key really sounds very little like Dream Theater. Don’t expect virtuosic hard edged prog from this outfit. Instead, look for great music in the form of prog that is more closely related to the music of Alan Parsons Project and old Pink Floyd. The songs also show influences from newer more alternative and techno types of artists. The overall result is catchy, almost pop oriented music that has a great jazzy prog flavor. 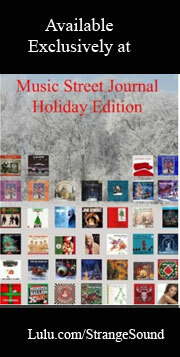 The musicians on the disc are Moore and David Iscove. 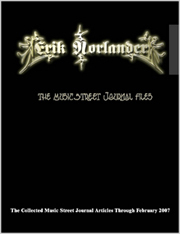 This review is available in book format (hardcover and paperback) in Music Street Journal: 2001 Year Book Volume 1 at lulu.com/strangesound. This one is heavily based in the tradition of early Pink Floyd. It includes a great jazzy segment. This one has another Pink Floyd sort of texture, but with a modern alternative rock twist to it. The chorus feels almost like a cross between Radiohead and Alan Parsons Project. Another cut that has that sedate sort of Floyd influence, this one also includes some Hawkwindish textures in places. Starting off with a space sort of space oriented voice over and great melodic Floydish tones, this one includes audio samples of coverage of a NASA crew mission. The backing is very nice jazzy piano with a rhythm track. This one is another that starts with a voice over sort of mode. The cut has a modern techno sort of sound, but still with a retro jazzy leaning to it as well. The vocals take on a Japanese sounding seductive sort of texture at times. This song is quite an unusual combination of varied musical art forms. It includes a spoken word segment that feels rather like a poetry reading. This one comes across in the beginning as more of a standard slow prog cut with some of the same earlier textures that have pervaded the disc. As the processed synthesized vocals start to come through, it begins to feel more like an Alan Parsons cut. It features some great keyboard textures and a nice hard edged segment. The outro is very pretty and piano dominated. Starting with somewhat electronic sounding keys in very low muted tones. This is another one that features a rather non-distinct voice over with a female voice. It continues in a very sedate tone with very melodic sections. This brief cut ends with a telephone operator speaking. Starting with percussion, as the keys enter, so do more space sounding radio chatter sort of voice over. This cut is almost a Pink Floydish type of take on Eiffel 65 at times, with it’s synthesized vocals in the early sections. It eventually moves into a more traditional vocal presences, and the Alan Parsons type textures again emerge. A great instrumental break with more traditional prog lines is also included here. This is a very strong cut. This one starts with a very spacey jazz oriented sort of texture. It includes a piano solo with a space oriented voice over, and the cut just seems to get more and more space oriented as it carries on from there. It has very atmospheric tones, then moving into more melodic modes for a time, then moves back toward the outer space zone. This one also gets very Floyd Dark Side of the Moon oriented at times.